How to share my photos on the community? How to share my photos? It's quite easy In-grid, press the camera icon in the bottom left of the reply box and then choose files. You should then be able to navigate to your photos and choose one to upload. Hello In-grid, welcome to the community. What device are you using and how are you looking to share photos or who are you looking to share them to? There are lots of ways such as Bluetooth, uploading the social media, email etc. I moved your question to this topic about sharing photos on the community. Glad you found the answer! I just moved your post to this thread. In the above comments, Tony explains how you can share your photos. Possibly the most confusing site in the world, I'm leaving. 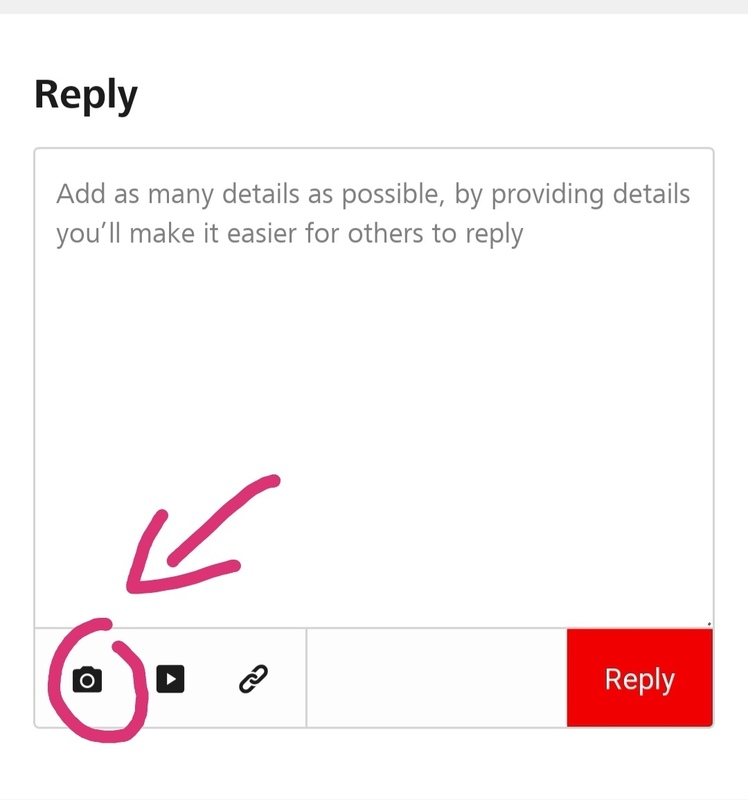 The symbol is right there in the reply box to upload pics and embed YouTube videos but perhaps the website should add labels to the symbols so that it is clearer. Thanks for the feedback! It's not possible to change this right now, but maybe we can in the future. If you have any other feedback or suggestions please leave a reply in this topic. Thanks in advance! How to upload image when create a new topic？It always suggest that the picture is too large.What are the requirements for the picture? I moved your question to this thread. In the above comments you can see how you can upload a picture. Regarding the size. The file size limit is 5MB. Welcome! You can add photos to a post by tapping the camera icon and selecting from your files. @Jules24 & @Jmoon, moved your replies here.